I’m Mountain Home Chiropractor Dr. Charles Osgood. Thanks for stopping by our site. Mountain Home Family Chiropractic been serving Mountain Home and the Ozarks since 1998. We focus on ongoing chiropractic care for body and frame alignment. My staff and I have a genuine concern for your well-being and health. Many patients visit our office with a specific concern and then realize that chiropractic is all about long-term, optimal health. Together, we can create a treatment plan that focuses on you and your needs. 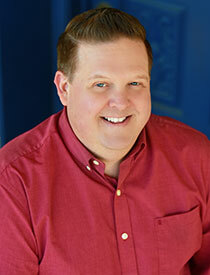 Richard Morton, our licensed massage therapist, specializes in deep tissue and sports massage. He studied at Blue Cliff College in Fayetteville, Arkansas and has lived in Mountain Home for 25 years. Please browse our site to learn more about our chiropractor Mountain Home. You’ll also find answers to many of the most common questions about chiropractic and natural health care. Be sure to visit our Special Offer page for information on discounts for your first visit. Call our Mountain Home Chiropractic office today! Discover the only laser on the market for the treatment of chronic low back pain. Our new FDA market cleared laser has been proven in double-blind, placebo-controlled, randomized, parallel group, multi-center clinical trial to effectively treat this painful condition. The participants of the FX 635 Clinical Trial showed a 58% pain reduction at 2 month follow-up evaluation. This trial went on to demonstrate that the FX 635 is successful in the treatment of chronic low back pain. The recent clearance of the FX 635 is groundbreaking for the pain management community and the war on opioids.